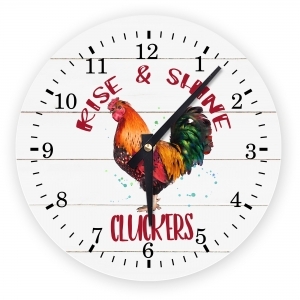 Decorate your family room, kitchen, bed or bath with a custom personalized clock. Our unique Wall Clock features a backside hook for easy hanging. 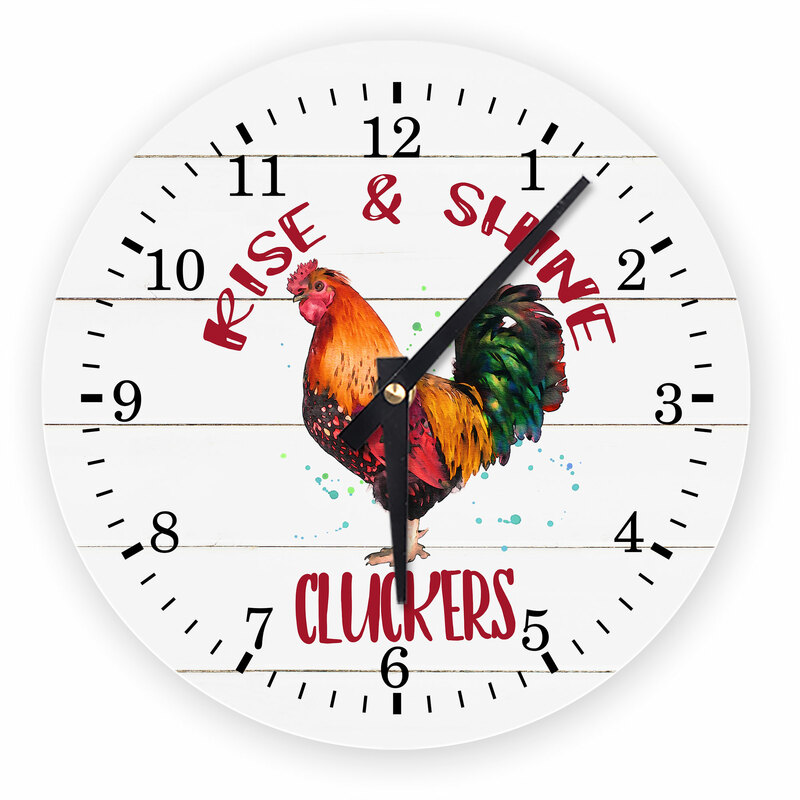 Choose from framed or unframed clocks ranging from 8" diameter to 11.4" diameter. The perfect monogrammed and customizable gift for your daughter, son, family, loved one or yourself! Requires AA battery, not included. Includes clockworks with 2 hands. Clockworks with 2 Hands, Black Plastic Frame with Keyhole Mount and Clear Plastic Lens. Features a decorative molding with a classic look. A great option for displaying in any room or workplace.